There’s one thing in West Virginia that infuriates me more than anything else. It’s not the lack of funding for historic preservation, or the ambiguous laws that allow for the destruction of historic homes and occasionally cemeteries. It’s not the absolutely depressing state of our economy, nor is it the corruption and false promises in politics. All of those things are certainly bad, but all of them can also be fixed given enough time, effort, and people who care. No, there’s something else that is much more powerful and much harder to fix, something inherent to us all. That is our memory. Memory is a complicated thing. On one hand, it can be a historian’s most valuable asset. In towns that don’t already have a written history, or perhaps have gaps in their history, we have to rely on the memories of the townspeople to fill those holes. This is the case in most of Mason County. Take Hartford for example. There’s almost nothing written on the frontier history of the Bend Area, even though we know that there were people here. Hartford’s written history doesn’t truly start until the 1850s, with the foundation of the salt industry, and it only extends into the 1930s. That means that over 80 years on either end are currently missing from the history books, and they can only be filled by the memories of the people living there. On the other hand, memory is a resource that historians hesitate to use unless absolutely necessary. We all know how bad our memories can be, and that can create some serious problems if you’re trying to put together an accurate history. Sometimes this is simply a matter of getting things mixed up, and it happens to all of us. This is easy to fix. All I have to do is compare the story I’m told to older issues of the Point Pleasant Register. Thankfully, I was also blessed with a great-grandmother and great-great-aunt that are able to tell me about times as far back as the Great Depression, and not once have I ever had to correct their memories. But sometimes, particularly in West Virginia, there’s another issue at play. West Virginia has this peculiar habit of promoting history that makes our state look good, whether its true or not. It’s not something new. In fact, we’ve been doing this nearly since our state was created. Some of these stories even have a bit of truth behind them, like James Rumsey’s invention of the steamboat in Shepherdstown. Rumsey did truly invent and successfully test a steamboat, though John Fitch of Philadelphia had successfully tested one the year before. Others, like Amos Dolbear’s invention of the telephone in Brooke County, just aren’t supported by facts. In fact, the Supreme Court threw out Dolbear’s challenge to Alexander Graham Bell’s telephone because he couldn’t prove he had already invented it. No matter the amount of truth behind them, these stories found their way into our history generations ago, and they are almost impossible to remove. They become so ingrained into popular memory that they become the “truth.” I use the word truth because they are not facts, they are simply accepted by many people as true. We have many such “truths” in Mason County, and that needs fixed if we ever expect to benefit from our history. My (least) favorite is the story of Thomas Lewis. We know that somebody by that name came to Kanawha County in 1794, served on the first court in that county, laid out a settlement at Point Pleasant, helped organize Mason County in 1804, and built Roseberry in 1815. To confuse us in the future, everybody in the past named their kids after other family members, so we have four men named Thomas Lewis. One was the older brother of Andrew Lewis, lived in Rockingham County, and is buried there. Another was his nephew, who later served as a congressman from Rockingham County. The third was Andrew Lewis’ son, and the fourth was his grandson. Nearly every history attributes my events to Andrew’s brother and nephew due to their prominence, but the historical record shows that they never left the Shenandoah Valley. Researchers with the National Register confirmed in 1985 that Andrew’s grandson built Roseberry, meaning the other four events couldn’t have been anyone other than Andrew’s son, who certainly would’ve been trained as a surveyor by his father. 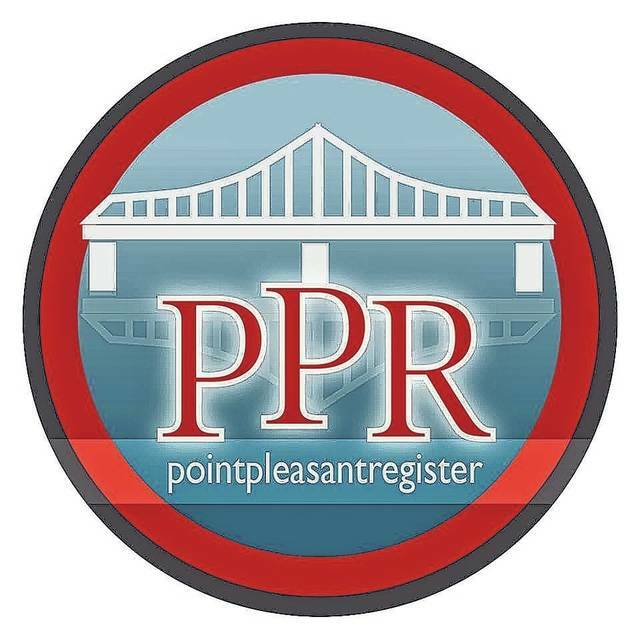 Next week, I’ll be discussing one of the most important “truths” in Mason County, the relationship between Point Pleasant and the American Revolution. Chris Rizer is president of the Mason County Historical and Preservation Society.